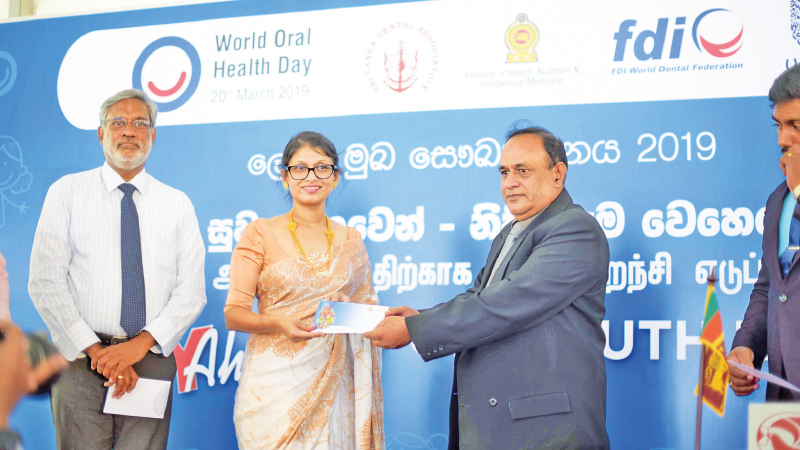 Unilever Sri Lanka, the undisputed market leader in terms of the Oral Care industry in Sri Lanka, announced a partnership with the Sri Lanka Dental Association (SLDA) in order to commemorate World Oral Health Day. In addition to this, the Ministry of Health, Nutrition & Indigenous Medicine and FDI World Dental Federation are also playing significant roles as a part of this endeavour. In light of this, an event was held in the ancient capital of Anuradhapura to generate awareness. Among those in attendance were dentists, dental surgeons, local school children and teachers, community leaders, and those of the general public. The day of the event marked the arrival of the Sina Bo Wewa. As the train continues its journey, Unilever is nearing its target of completing 15,000 free dental screens on board this train. These screenings are taking place through the support of the SLDA, whom Unilever has been working with for decades. All endorsees have come together to shed light on the importance of good oral hygiene this World Oral Health Day;on a global scale, statistics show that 90 percent of people suffer from oral health issues.Even though tooth decay and gum disease is usually preventable, it is among some of the most chronic forms of diseases in the world. This event served as a channel to enlighten people on how they can avoid such issues, while taking adequate care of their personal oral health. The Sina Bo Wewa train was the first of its kind in Sri Lanka and perhaps the world. As it continues its journey from the south to the north of the island, free dental check-ups along with workshops were held inside the train carriages. In addition to this, many local artists were present, exhibiting their skills for the enjoyment of school children and all of those on boards. The underlying theme of this celebration is that while Sri Lanka is home to many arts that represent our culture, our smiles are an art form as well. This also coincides with the much anticipated 60th anniversary of Unilever’s beloved oral care brand, Signal. Over the past 6 decades, two million Sri Lankans have benefitted from Unilever’s collective effort to improve the standards of our oral health. As Unilever is a respected entity that has ingrained itself into the Sri Lankan way of life, the upliftment and prosperity of the society that it operates in is one of its core values and objectives. Moving forward into the future, they will continue their efforts to improve the oral hygiene of our people, resulting in a cavity free Sri Lanka and it will in no doubt, continue for many more decades to come.